Fall course (start on the first week of October to the end of December by accomplishing 72 studying hours. Spring course (start in the first week of February to the end of May by accomplishing 72 studying hours. The International Relations Administration announces opining the registration for course of Confucius unit in Pharos University. The lectures: Chinese lecture have an experience in teaching chines language and holding master degree. 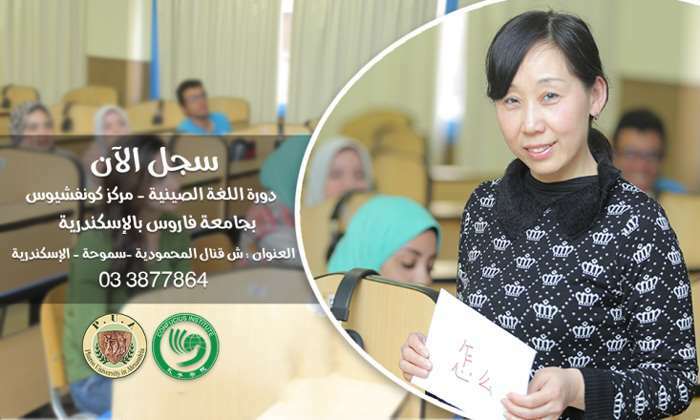 Scholarship: Confucius institute provides their students with a great number of scholarship for studying the chines language in china which including the accommodation, studying fees, and 1500 Yuan per month for every student.